Reduces frizzy volume by 50% after one use*. Gives you smoother, softer hair. Powered by botanicals—including certified organic cupuaçu and shea butters. 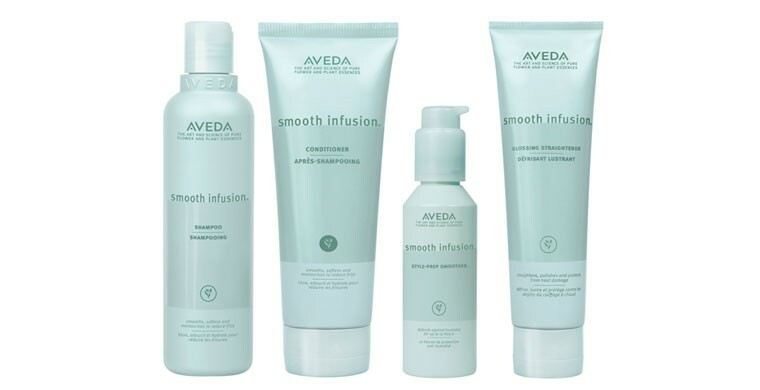 Keeps hair smooth, even in intense humidity. *In a clinical tress test. *After 5 consecutive applications of naturally straight, hair will stay straight for up to 3 washes. Hydrolized wheat protein protects against surface damage from heat styling. Features our smooth infusion™ aroma, a fresh spicy citrus-floral featuring certified organic bergamot, certified organic palmarosa, Turkish rose and Australian sandalwood.